TORRANCE, Calif., December 5, 2017 – The 2018 Consumer Guide Automotive Best Buy Awards named three all-new Acura models as the best in their respective categories, which includes the RDX as the Best Premium Compact Crossover, the MDX won Best Premium Midsize Crossover, and the Best Premium Midsize Car went to the TLX. The Consumer Guide editorial team holds the winners to a set standard and each vehicle has to meet a certain criteria based on performance, features, accommodations, fuel efficiency, resale value and price. 2018 marks the sixth consecutive year that the Acura RDX is receiving the Best Buy Award. 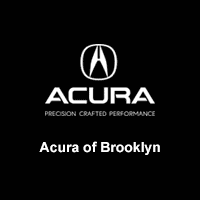 The 2018 Acura RDX has many desirable features, including fuel efficiency, the ability to comfortably seat five adults, a powerful V6 engine and available AcuraWatch™ suite of safety and driver assistive technologies, making it one of the most balanced SUVs on the market. Since 2009, the Acura MDX has won eight Best Buy Awards, a significant honor for the best-selling three-row luxury SUV of all time. This years model also features AcuraWatch™, a redesigned user interface with support for Apple CarPlay™ and Android Auto™. Since its market introduction in 2015, the Acura TLX has been recognized by Consumer Guide each year. The 2018 TLX has bold new styling and an all-new A-Spec variant, which adds dimension to the V6 engine.